Drying your hair can be an exhausting thing, let’s be honest. Those who have thick or long hair end up training their hurting biceps every week. Maybe you’ve never tried a soft bonnet hair dryer, but we are telling you, it’s the new trend going on amongst women. Just a few years ago, bonnet hair dryers weren’t that popular because they were made out of weird materials that ended up being very hard and sturdy. However, many companies worked on the technology of this product, and they continued to make soft bonnet hair dryers for home, so their technology and functions have improved drastically. Let us show you why you should get one. You will probably be a bit skeptical if you’ve never tried one of these, but we have done our research and many reviews of the products we will show you included comments we are about to present you. Oh yeah, did we mention that you literally don’t have to do anything? You sit under the soft bonnet which distributes the heat all over your head, and that is pretty much it? If you have thick hair, this might save you! Yes, it does, and it’s all about the surface being exposed to the heat. 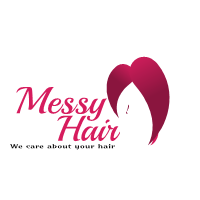 With a regular dryer, you have to aim the heat to hit the spots that are still not dry, but with a good soft bonnet hair dryer, the heat distributes itself, and therefore you save time and energy because the product is working for a shorter period. If you like to do your hair on the go, maybe on vacations, business trips or just at work, you will surely benefit from this. They are quite small and practical, and you can bring them anywhere with you! Yeah, because you don’t have to do anything. You can watch your favorite show, drink some hot chocolate or read a book, you will forget that something is happening, especially if you have a quiet bonnet hair dryer. Convinced yet? Great, let us tell you what you should focus on so you get the best quality for your cash. Read next: Can a cheap hair dryer be good? Time is really important. Watts will show you the expected drying time, but this can also vary depending on your hair. It would be best if you looked for a product that has ion technology because these protect your hair and actually hydrate it too! You can say goodbye to frizzy hair now! You have to check out the head capsizes. If you have a very small or a very large head, you may want to find those that have really elastic bands or drawstrings. Speed and heat settings are also important. Get as much as you can since they will give you more control. Size is relevant only if you want to travel with it, so keep this in mind. There are really compact models out there, but there are also huge ones. The noise. This is a downside of soft bonnets, but it mostly doesn’t bother people at all. Let’s check out the models that we have encountered during our search for the best soft bonnet hair dryer. These are all really good, and we can’t decide which one is the best one, so you’ll have to do that. This one comes in white, pretty stylish, and it works using ion infused airflow. This means that your hair will stay hydrated and won’t break as much due to the moisture that will remain inside of the root. There three heat and speed settings so you can have as much control as you want, which is especially important to those with textured or damaged hair. After your hairstyle is all in place, you can use the cool air option to set it all in place. It is a larger bonnet because the manufacturer designed it to fit jumbo rollers too! If you are a lover of curly hairstyles, don’t worry, you can still get them. You’re getting a storage case that will be perfect for transport and, in the reviews, you can see that people still use techniques like deep conditioning along with the bonnet. It’s just like a regular dryer, but more practical. If you are looking for something more flexible, you may check this one out. It has a 4ft hose which features the “easy lock” handle and helps you use the product without any problems. There are four speed/heat settings and a cool setting too. This is beneficial to those who like to use rollers and style their hair under the bonnet. It also comes with a really interesting feature called the hot air vent brush, which can be attached to the bonnet to style hair easily. Unlike other ones, this manufacturer actually put instructions on their page. This is a great thing for those who aren’t really familiar with the soft bonnet hair dryer attachment. This particular product is focused on your hair’s health. It uses the ionic technology and a special airflow technology to prevent frizzy hair and make your new styles shiny and smooth, almost silky-looking. The motors (two of them) are powered by 800 watts, which doesn’t sound like a lot, but the heat is distributed very evenly, so the drying won’t last long. The bonnet features a flexible hose and a 6ft cord, so you don’t have to worry about movements. You can use the cool temperature setting to lock in your hairstyle, just like with any other product. This model has been awarded, and it stands out because of the professional and stylish looking design that proves the manufacturer spent much time developing the robust technology in it. The Glow by Daye Dryer Attachment described by people who bought it ends up being a really handy thing to have in your purse. The biggest advantage of it is the fact that it’s very adjustable and fits all head sizes, along with various head accessories: rollers, clips, and even flexirods. You can use it for deep conditioning too, and the material is waterproof, obviously. The wide hose has a 9-inch perimeter which helps more warm air go through it, and you’ll get your wanted hairstyle easier and faster. The flow is consistent and gentle, no worries about that. People describe it as comfortable and flexible. There are optional chin straps if you like really active movements during your hair drying session. It’s best to use this one at the setting “low”. Revlon is one of the leading companies in the world when it comes to hair products, right? They have a bunch of interesting things coming out each year, and one of the best products they made was this Ion Technology soft bonnet. It reduces frizz and helps you achieve that smooth, expensive look without actually paying a hair salon appointment weekly. The bonnet can be used with hair rollers too. You just put them on, choose one of the three heat/speed options, depending on your hair and the damage it has suffered previously. When you’re done, try the cool air setting and help your hair retain that curly look. The hose is very flexible and the bonnet is easily transported. Revlon made this “suitcase looking” product in order to help women that like to travel with perfect hair. The storage case can hold all of the above-mentioned features. If you already have a really good hair dryer, but you wish to give your hands a rest sometimes, this product would be a good choice. When you buy this, you get the bonnet only and it is a unique one, too. It comes with a chin strap and a drawstring, which makes it compatible with almost anyone. It’s large enough to fit various styling rollers and things like those. You can wash it by hand if it gets dirty from products: maybe those you use while deep conditioning? This particular bonnet won a prize in 2015 for the best styling tool, so why wouldn’t you like it? If you are looking for something luxurious when it comes to design, this one looks like it could be on a runway show! It has a compact design and you can bring it around like a suitcase. The flexible hose is 40 inches long and some people find this too short, but it depends on your movement mostly. You can use this at high temperatures too if you wish to get a really quick hair styling session. Just like the number 6, this one comes without a hair dryer, it’s just the bonnet. It has a large capacity and a long hose, you can use rollers and hair styling those and still move around without getting the bonnet off. It won’t take much time to dry your hair, the average time needed is about 20 minutes, less if you have thin hair. Don’t be afraid to use techniques like deep conditioning too, this product works just great with it. This bonnet is really adjustable because it has a drawstring and you can be sure that it fits your head (even with the additional styling tools). This product, in particular, is something that you should be using if you wash your hair often and if it ends up being something you hate. 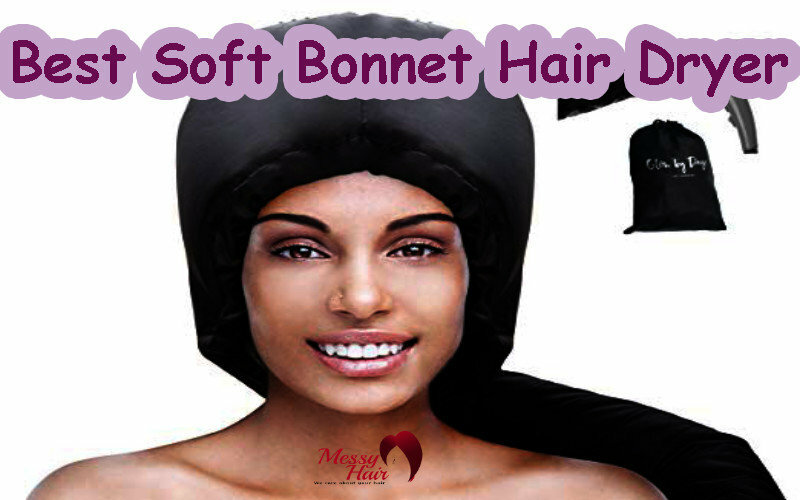 A good soft bonnet hair dryer will save you from pain and long drying sessions. We can’t tell you what the best soft bonnet hair dryer is, you will have to pick one yourself. However, we advise you to think about your regular dryer. If it has healthy options like ionic technology, maybe you need a bonnet, not the whole thing. If you’re feeling like you may benefit from having the whole “suitcase” type of thing because you travel a lot, go ahead and find the best one for you! Never be afraid to make an investment that directly affects you.